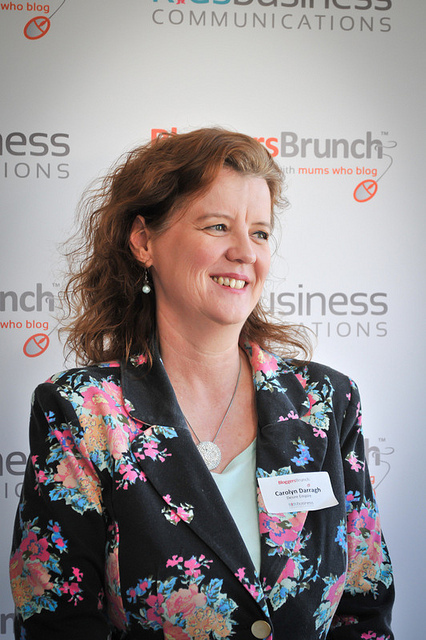 Recently I attended the Kids Business Bloggers Brunch in Sydney. 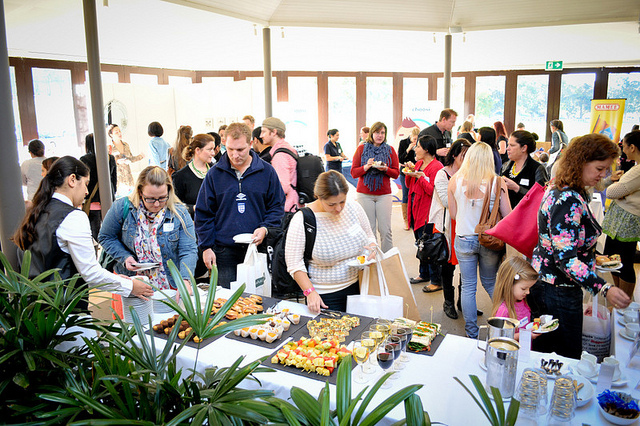 It's an event I always love, as Christie has a great collection of businesses, with all their latest products on show. The littlest Beach House Brat loves the event too, as she is well looked after by some lovely Dial an Angel baby sitters. Despite that fact, her over protective mother cannot let go of the motto she learned in Brownies......Be Prepared. Accordingly, I "tatooed" my number on her arm, just in case. It was not needed and she had an absolute ball with the very attentive angels. When we broke for lunch, I signed her out and we had a nice plate of sandwiches and coffee together in the sun. Then it was down to business. One of the Kmart designers recognised my jacket as Kmart. Although I had not worn it on purpose, I do seem to be living in it this Winter. I guess it is evidence that I am a big user of the Kmart product. 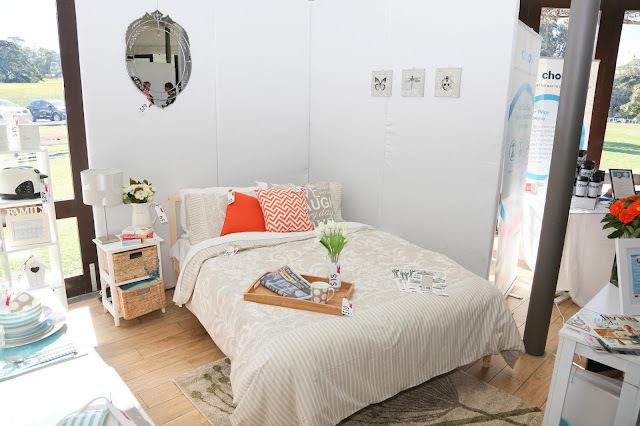 I got talking with one of the Kmart designers about what great job being a homewares and fashion designer was and all the travel involved attending international trade fares to see what is on trend. Wish I was 25 again. And I have to say, I was blown away by the new Kmart range of homewares. These products are all in Kmart's latest catalogue and they are terrific. I mentioned to some of the designers that in all honesty, their products never look this good in store. Which just goes to show how effective styling can be. The designers said that Kmart is starting to address that via the development of concept stores and already there are some in Melbourne with Bondi Junction the latest store in Sydney to be refurbished. I thought the China jugs were lovely. The tablescape looked fabulous in blue, white and taupe. The bed linen and cushions were so stylish too. That geometric orange cushion doesn't come in blue and white, which it should, but I am going to buy the orange one anyway for a Summer bedroom make over I have planned. I really was surprised at how good it all looked. I tried to purchase the quilt cover in store the next day. Not surprisingly, they had sold out of queen size, so I bought something else, which is gorgeous too. I will show you that soon. I'll be back to get the one pictured here, when it is restocked in my local store as I love it. The little girls bedroom range was pretty in pink and blue. The range was comprehensive and the Littlest Beach House Brat loved it. 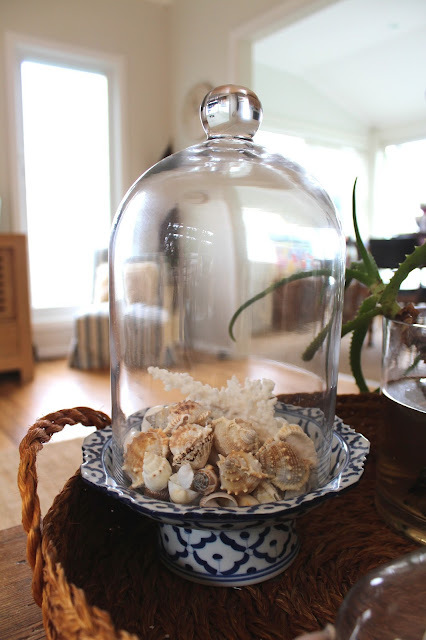 I thought the glass domes were fantastic value and I bought 2 the next day when I visited the store. Here's what I did with one of them. I had the blue and white Thai serving dish from about a million years ago and happily the dome fitted neatly over the top. It got a run on my coffee table first and then I got my plant stand out of the shed. I am loving this little blue and white corner of the Beach House. If you want to keep up with all the latest homewares and other products at Kmart you can like their Facebook page here. You can use the #KmartHome hashtag if you want to share these lovely products with your friends or see what others are sharing. 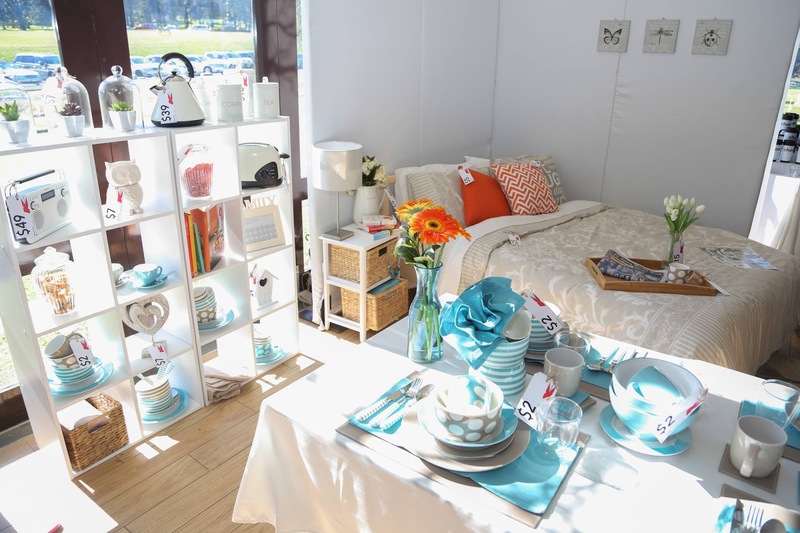 The new homewares are definitely worth a look. Who doesn't love to decorate on a budget with beautiful things? And this prize would go a long way in store. Today I am giving away a $100 Kmart Australia Gift Voucher. To validate your entry, here's what you need to do. Sharing this post to each of your social media platforms or giving it a Google + will constitute another entry. Leave me a separate comment for each share or sign up. This giveaway is now over. Congratulations to Eva, The Multi Tasking Mummy, you are the winner of this terrific prize. Please contact me with your postal address. This is a game of skill. The skill is signing up or following one of the platforms above and leaving a comment to that effect. The prize is a $100 Kmart Australia gift Voucher. This competition is open from now until 21 August 2013 12pm Australian EST. Disclosure: I was not paid to write this post and I purchased all my own items from Kmart. I will not be paid for back links in this post. Kmart did however, provide this $100 voucher to giveaway on my blog. You are so right about effective styling. Nothing in these pictures would scream "Kmart" if not for the tags. Also, your little one is so pretty! i love all the striped things. will definitely make a trip to k mart for some of the cutlery. 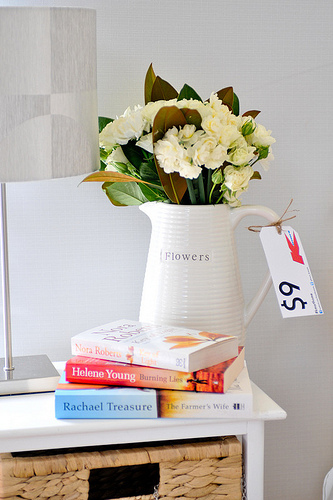 I was browsing in Kmart homewares recently & came home with a heavy rope knot doorstop - for only $7! Also have my eye one some of the white mugs with the silicon grips. So many nice looking, reasonably priced items that I don't feel guilty doing a bit of restyling. New liker on Facebook - hello! I follow you on Facebook and have done so for some time. Love it. I love kmart stuff, such a pity we don't have one in our town, but I have to travel to another town to visit- but then again maybe that is a good thing- for my bank account anyway! I follow everything except twitter and instagram because I don't have accounts there. I find Kmart the cheapest of all the homeware stores but like you sometimes I feel they lack the quality - but they have really lifted their game and improved their range lately. Just last week I bought the same glass dome and the orange patterned reverse coushin with writing on the other side :) Thanks for the Giveaway! Me again :) Entering again as I follow you on Facebook as well! Oh, look at all pretty! And prettiest of all is those price tags. 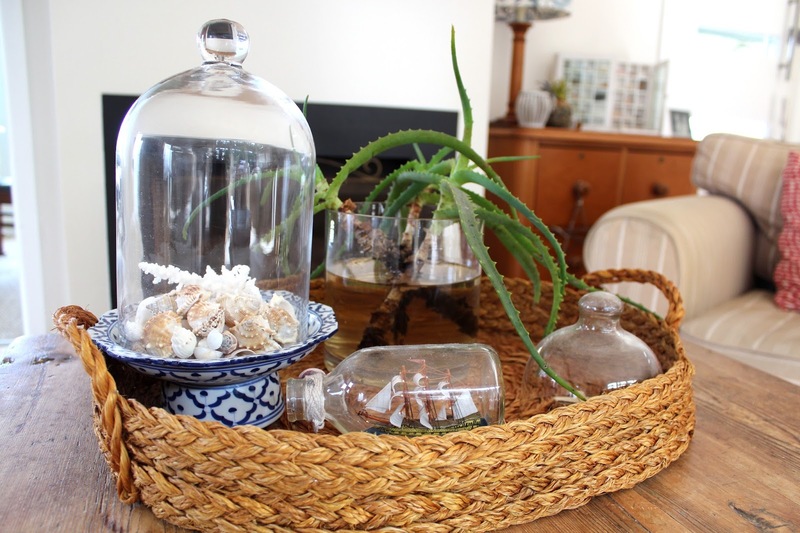 I could give my daggy lounge room a gorgeous makeover with $100 from Kmart - pick me please! P.S the blogger brunch must have been great fun :). I have followed you on facebook for a while. I have already previously subscribed to your newsletter. I retweeted your tweet about the giveaway on Wednesday 7/8/13. I shared via my facebook page. 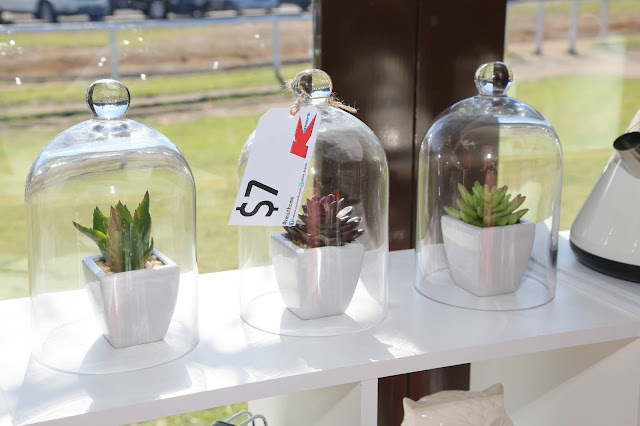 Never thought of Kmart as a place to buy stylish, modern homeware without the expensive price tag, but after reading your blog will definately have to go and check it out for myself. 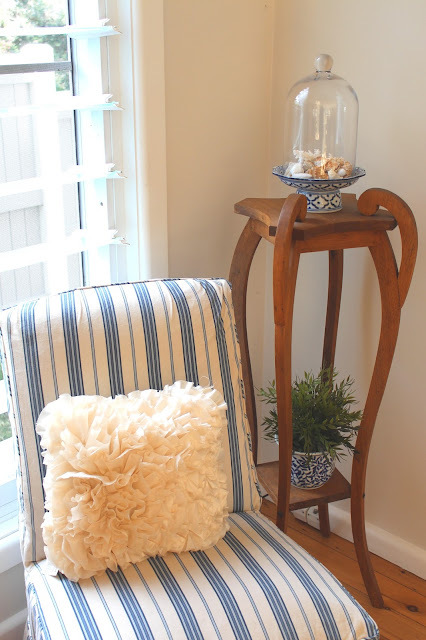 Love the gorgeous cushion on the striped chair, it definately gives the wow factor to the corner of the beach house. My email is cathhappy@gmail.com. Thank you. 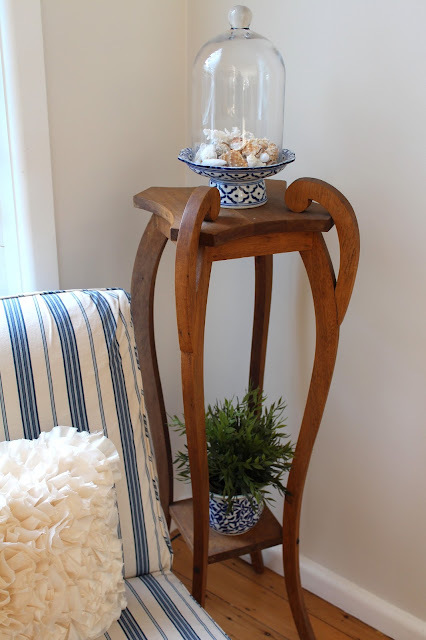 I also love how you added the glass dome to the blue and white thai serving dish on the plant stand in the corner,it makes it so unique and looks great. Wow. Those domes are fabulous! I need to get to Belconnen Kmart this weekend. I have been wanting some of their so cute bowls and mugs as well to update our table. So cute and so cheap. Love it. Great Photos, I am in love with those owls. Oh I love all your pictures. They look like they are from a magazine. And yes, gotta love Kmart, everything is so affordable! $100 gift card will definitely go a long way. Lovely styling. Kmart have really picked up their game in the homewares department lately. Foolwing via newsletter subscription. dome and the little blue and white dish is wonderful. I must admit Carolyn, I'm very taken with their latest batch of homewares. I've got the catalogue aside to go through it more thoroughly and have a few things pencilled. I'm sure there'd be heaps of change leftover from $100. Bargain! Kmart are certainly bringing it these days. Now following you on Facebook. i subscribe to your newsletter does that count? OMG, I must follow you on everything - already following you on Pinterest! That looks great! signed up, on twitter too - and they should have paid you!! And subscribed to your mail list. Wow Kmart has gone from bleak to chic! Loving it! Can't believe I wasn't already following you on Twitter - just remedied that! I've liked Desire Empire on Facebook. Absolutely love the girls bedroom range! Kmart has seriously gotten stylish and I need to go there to buy a few items to update my family room. 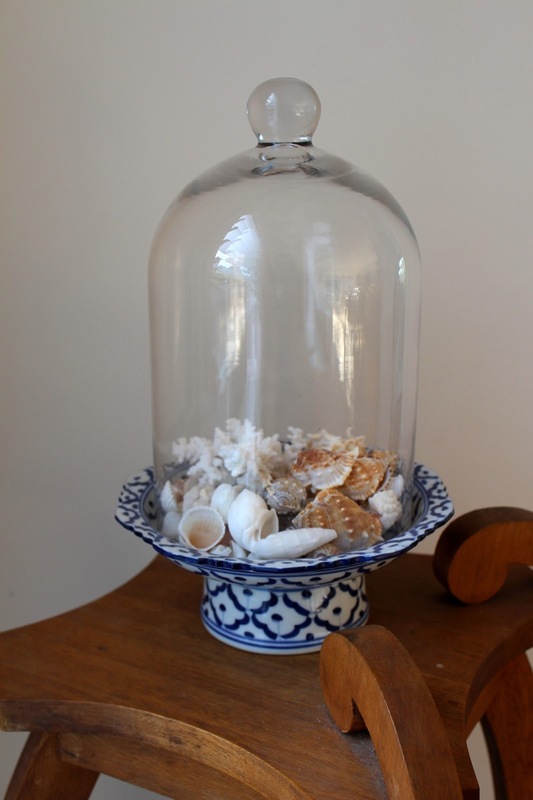 Totally love the white jug and the domes. Such simple pieces that can be styled in so many ways. I Shared this comp on FB! I shared this comp on Twitter! I shared the comp via Blog! I LOVE Kmart! It's amazing how great you can get your house looking with a discerning eye and Kmart! Your dollar does go further...! Thanks for the comp! I've signed up to the Desire Empire Newsletter! shared the giveaway on twitter.. Follow you on Google connect. I love that with the cheap prices you can spoil yourself more often. Nothing like a bit of spoiling to make yourself feel good! Already following you on twitter...@Karynl75L. They've got some great products at ridiculously low prices don't they! Following on Twitter. Hi Carolyn, you look lovely on the photo! I would love to win this prize! As you know I'm still (slowly) renovating my unit and it is time to add a touch of colour to my new home! Love all things interior design. I follow your page on Pinterest. I have also tweeted this wonderful giveaway! So many goodies at Kmart, thanks for the lovely chance. My husband and I recently moved house from an area where there was no KMart to an area with a KMart and I have been so pleasantly suprised with the gorgeous and shabby chic style homewares which suit my style and new house to a T. I have browsed the isles on a number of occasions mapping out in my mind all of the things I'd love to get. 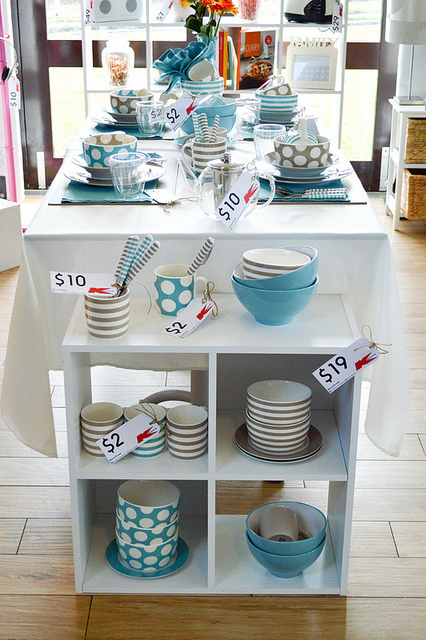 I'm in desperate need of a new dinner set and love the colours they have! Thanks for a great giveaway.